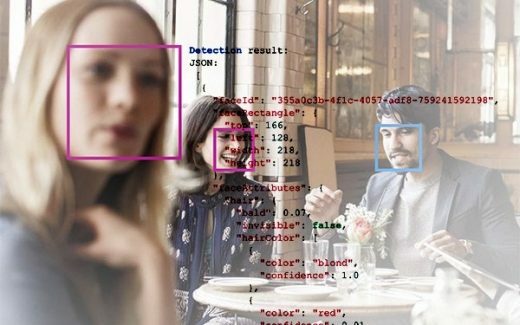 Microsoft’s facial recognition technology, which checks the likelihood that two faces belong to the same person, now recognizes gender across skin tones. The improvements aim to address concerns that commercially available facial recognition technologies more accurately recognize the gender of people with lighter skin tones than darker skin tones. In the announcement, made Tuesday, Microsoft estimates the technology reduces the error rates for men and women with darker skin by up to 20 times. For all women, the company said error rates were reduced by nine times. The Face API via Azure Cognitive Services teams worked with experts on bias and fairness across Microsoft to improve modeling called the gender classifier, which focuses on getting better results for all skin tones. Artificial intelligence technologies are only as good as the data used to train them, as pointed out in the blog post. Do a web search on Bing, for example, for the keyword “CEO,” and chances are the query will return information about the senior leadership position in companies and organizations around the world, including a handful of images, most likely of men, explains John Roach, freelance writer and editor for Microsoft, in the post. At Microsoft, this has prompted an ongoing exploration among engineers at the search engine Bing, in collaboration with experts such as Hanna Wallach, a senior researcher in Microsoft’s research lab in New York, who also looks at how best to surface results that reflect the active discussion in boardrooms and on social media about the absence of female CEOs and efforts to change that trend. Microsoft has been focusing a lot on visual search and visual technologies. Earlier this month, Microsoft a visual search feature on Bing for Android and iOS devices. It allows users to learn more about their environment as well as clothing and other items in photos, through the camera on their phone.